With over 300 instrument sounds and 12 drum kits, the CN43 is an ideal instrument for players seeking a digital piano that off ers a little more musical flexibility. In addition to the standard Dual and Split playing modes, the new Rhythm Section feature provides professionally arranged backing accompaniments to support a range of musical genres. With 100 pop, rock, jazz, funk, and Latin styles, creative players can enjoy breathing new life into their existing repertoire at the touch of a button. Rounding off the instrument’s impressive array of functions, the CN43 also adopts premium USB Audio capabilities from Kawai’s leading oncert Artist and MP Stage Piano ranges. 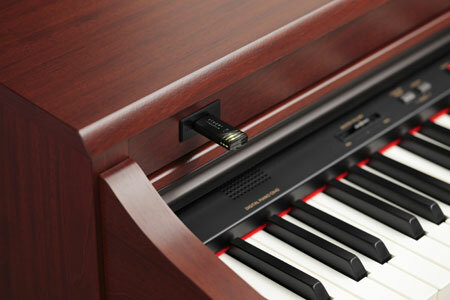 This handy feature allows MP3 and WAV files stored on USB memory to be played back through the instrument’s powerful speaker system (an excellent way for musicians to learn new songs, or simply enjoy accompanying their favourite artists), or for digital audio files to be easily recorded without additional equipment. 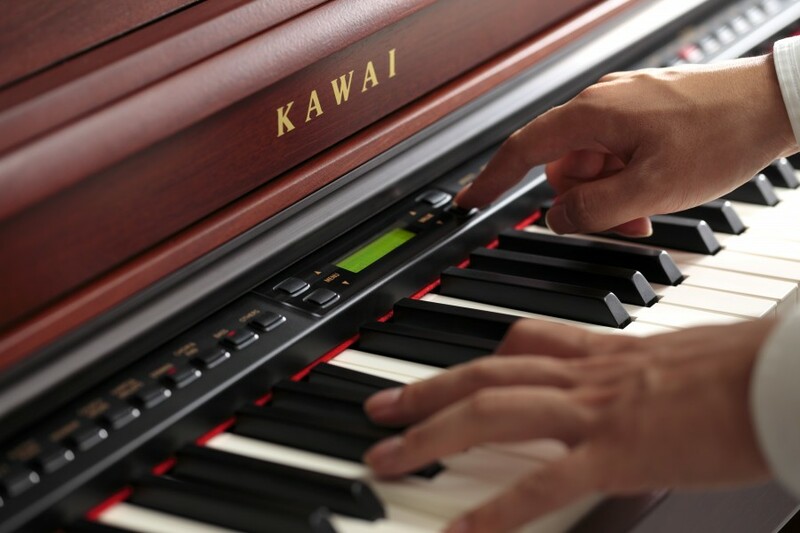 Perfecting the art of the piano – a bold statement that has remained the company motto throughout three generations of Kawai family leadership. Inspired by over 80 years of experience crafting world-class acoustic pianos, Kawai’s digital engineers appreciate the importance of excellent build quality and meticulous attention to detail. 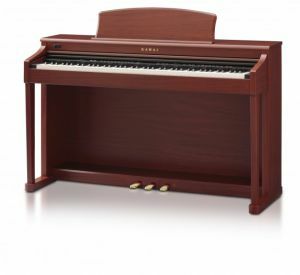 The CN Series’ attractive cabinet designs reinforce these principles, with wide music rests, singlepiece side panels, and tapered legs supported by sturdy wooden toe blocks. 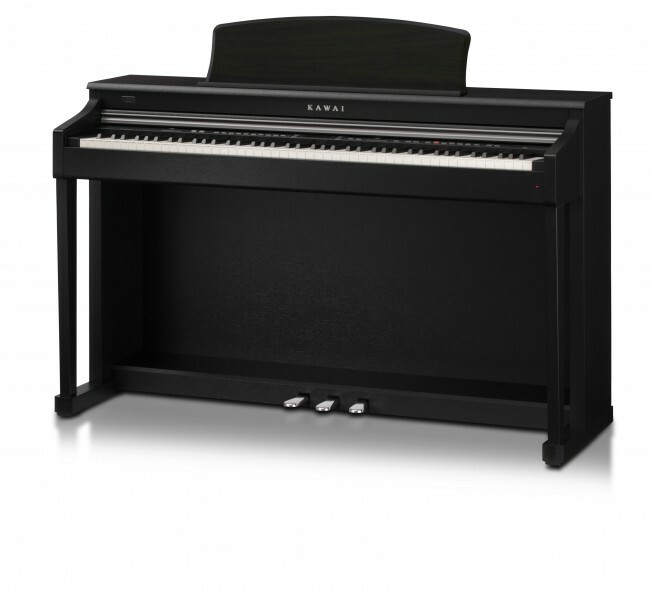 As the flagship instrument of the range, the new CN43 delivers premium-level specifications at an affordable price. Its powerful speaker system with 4 speakers provides deep, resonant bass frequencies and crisp, clean trebles that enliven musical performances, while the superior polyphony rating (the number of sounds that can be produced simultaneously) allows complex passages that require the damper pedal to be enjoyed without sustained notes ‘dropping out’ unexpectedly. The Kawai EX concert grand piano is widely regarded by professional pianists and piano technicians as one of the finest instruments within its class. Hand-built by our renowned Master Piano Artisans at the Shigeru Kawai Piano Research Laboratory in Ryuyo, Japan, each EX instrument undergoes a meticulous regulation and refinement process within a specially designed anechoic chamber. Following this lengthy crafting period, the completed EX piano receives a final series of rigorous quality inspections, before eventually taking pride of place on the centre stage of the world’s most prestigious musical institutions and concert halls. The beautiful sound of the EX grand piano is at the heart of the new CN Series, with all eighty-eight keys of this world-class instrument painstakingly recorded, analysed, and reproduced as high-fidelity digital waveforms. Recording each key individually in this way – as opposed to stretching the same tone over several different notes – ensures that the rich harmonic character of the original EX grand piano is preserved, and guarantees that the sound heard when playing any one of the CN Series’ keys is a faithful representation of the acoustic source. 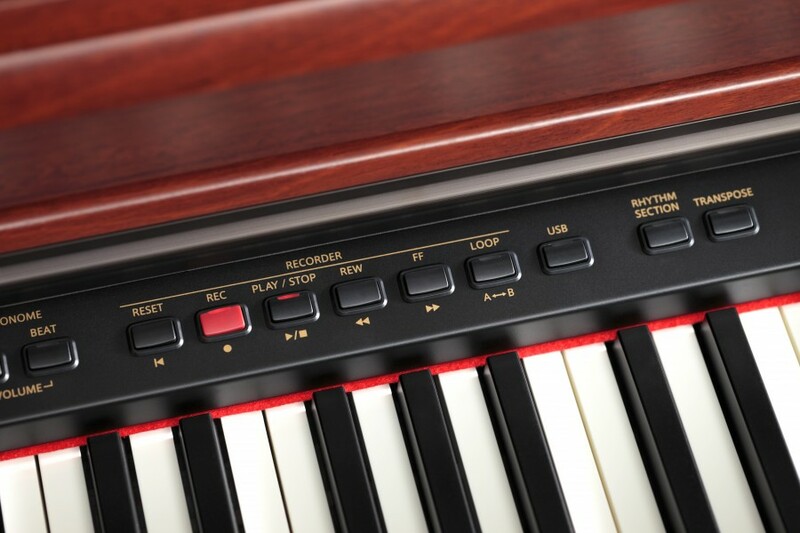 When playing the piano, the amount of pressure applied to the keyboard aff ects not only the volume of the sound produced, but also the unique tonal character of each note. Therefore, in order to construct a realistic acoustic portrait of the EX grand piano, not only is each key recorded individually, but also at various different volume levels, ranging from gentle pianissimo to thunderous fortissimo. 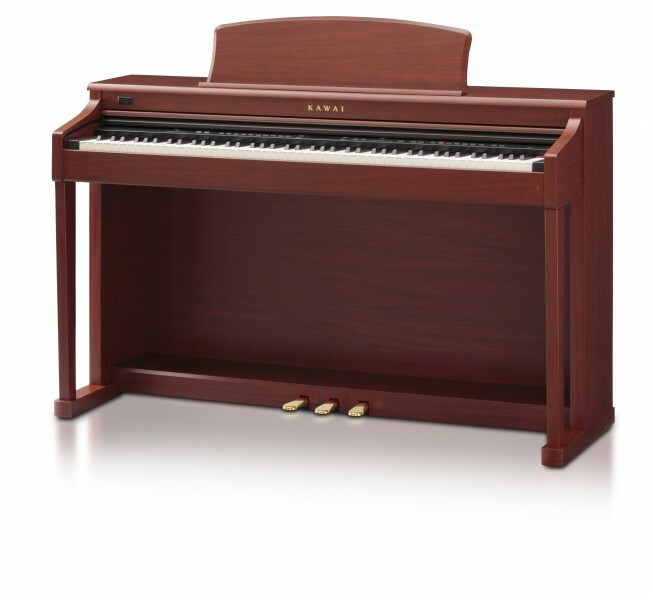 The new CN Series offers a highly detailed acoustic portrait, employing Progressive Harmonic Imaging sound technology to ensure smooth tonal transitions across the keyboard and throughout the entire dynamic range. The keyboard action of an acoustic grand piano is composed of black and white keys, graded hammers, and numerous other components working in harmony when each note is pressed. It is a beautifully designed mechanism that allows gifted pianists to express a wealth of feeling and emotion in their playing. Translating the action’s intricate movements to a digital instrument, while still retaining the tactile feeling and subtle nuance that one comes to appreciate in an acoustic, is a considerable challenge – a challenge that draws upon over eighty years of experience in building the world’s finest pianos. The new Responsive Hammer action recreates the distinctive touch of an acoustic grand piano, with its realistic movement and rigid, springless design providing a smooth, natural, piano playing experience. The weight of the keyboard is appropriately graded to mirror the heavier bass hammers and lighter treble hammers of an acoustic piano, while structural reinforcements within the action assembly ensure greater stability during fortissimo and staccato passages. The new CN43 also features Kawai’s Ivory Touch key surfaces that gently absorb finger moisture to assist the player’s performance. In addition, let-off simulation recreates the subtle ‘notch’ sensation felt when softly playing the keys of a grand piano, satisfying the expectations of the most discerning pianists. 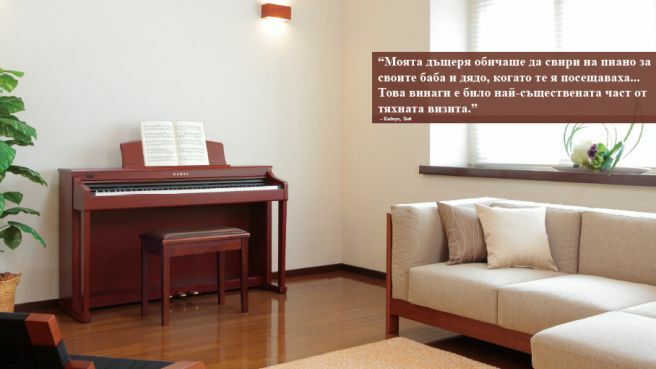 Each CN digital piano features a variety of realistic acoustic piano sounds that are ideally suited to playing a wide range of Classical, Jazz, Pop, and Modern musical styles. 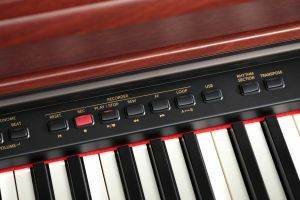 Reverberation and resonance effects are also applied, helping to further improve both the sounds’ tonal authenticity and the player’s overall piano playing experience. Complementing their realistic acoustic piano voices, the CN range also feature a strong selection of additional sounds, ranging from electric pianos and drawbar and church organs, to strings, brass, and woodwind instruments, inviting musicians to add greater variety to their performances. 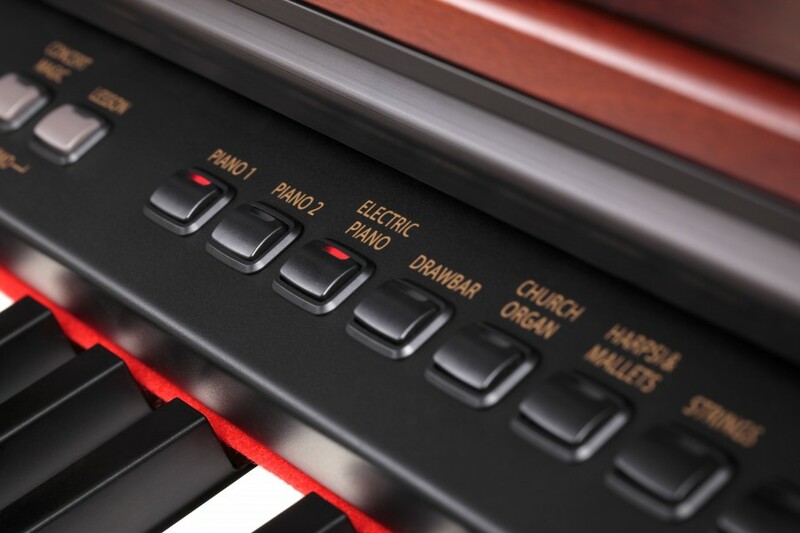 The Dual and Four Hands playing modes featured on all CN models, allow two different sounds to be layered together, or for the entire keyboard to be split into two separate sections for duet performances. Furthermore, the CN33 and CN43 models boast a hardware balance fader, allowing the volume of combined and split sounds (such as piano and strings, or organ and bass) to be adjusted quickly and easily. In addition to the standard Dual and Split playing modes, the CN43’s new Rhythm Section feature provides professionally arranged backing accompaniments to support a range of musical genres. With preset chord progressions, One Finger Ad-lib phrases, and 100 pop, rock, jazz, funk, and Latin styles, creative players can enjoy breathing new life into their existing repertoire at the touch of a button. 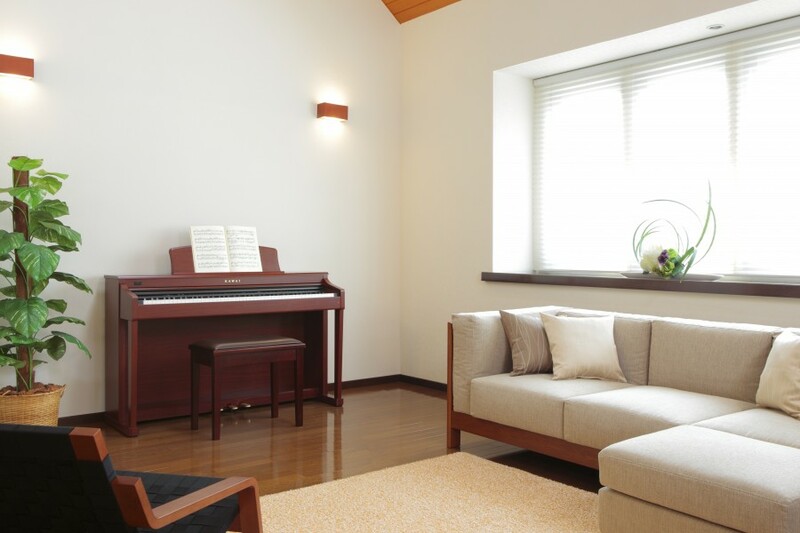 All three CN series models feature song recorder capabilities that both enhance one’s playing enjoyment and can also assist piano study. The CN23’s useful recorder allows up to three songs to be stored in internal memory and played back at the touch of a button, serving as a convenient selfassessment tool for players of all skill levels. The CN33 expands upon this functionality with 2-track recording, allowing individual left and right-hand parts or two different voices to be recorded separately, then later played back together. In addition, the CN33 also includes a USB to Device connector which allows songs stored in internal memory to be saved to USB flash memory, or for a song recorded on one instrument to be loaded onto another – an invaluable tool for busy school music labs. Expanding further upon the CN33’s recording abilities, the CN43 allows more ambitious players to record 16-track SMF (Standard MIDI File) songs directly to USB flash, or playback and edit existing pieces directly from the intuitive control panel. With an impressive selection of instrument sounds and drum kits, and 192 note polyphony, the CN43 is capable of reproducing complicated multi-track ensemble pieces with astounding realism and stunning musicality. Furthermore, USB devices can also be used to play back MP3 or WAV audio files, allowing musicians to accompany their favourite artists, play along to professional ‘minus one’ backing tracks, or simply learn the chords for a new piece. It’s even possible to record and save performances directly as MP3/WAV audio files for emailing to family and friends, or casual listening away from the piano.